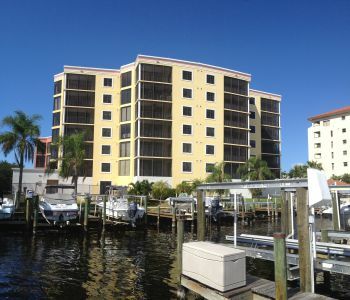 Very near to Paradise Pointe, the gorgeous six floor building of 26 condos called Parkside at the Rivers sits right on the Caloosahatchee River, offering water front luxury that others only aspire to. Parkside was built in 2007, and designed to take the most advantage of a boater's paradise - being able to walk out of your home and step right into your boat on a whim. The amenities here are second to none. A large heated pool and spa right on the river's edge, clubhouse with kitchen and game room, fitness center, covered secure underground parking, lush landscaping, and the option to purchase a boatslip are just the beginning of luxury life on the river. Condos are mostly three bedroom, two bath, and most have 1923 livable square feet of space, some others range from 1865 and up to 2,500+. They have all the upgrades such as stone counter tops, tiled floors, and glass shower stalls. They also have private balconies, storage units, and floor-to-ceiling glass on the river side to take full advantage of the amazing views. Windows are hurricane-proof, so that's one less worry to have. Prices range from about $425,000 up to almost $500,000 (as of March 2019), depending on the location of the unit to the boat docks and other factors. Just across the river is Fort Myers and Sanibel Beach, and shopping, dining and schools are all convenient to the community. 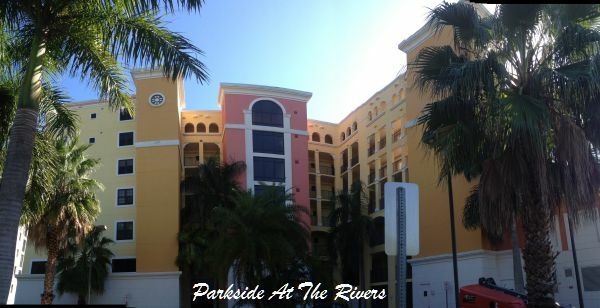 If you've been looking for one of the finest water-front condo communities, an opportunity to have a boat slip at your back door, and all the luxury you could ask for, Parkside at the Rivers is where you want to be. 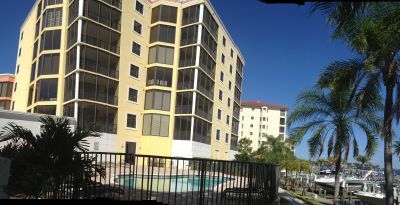 Call me today for an appointment to see this stunning condominium complex.